This year we’ve put together the Best Homeschool Curriculum & Resources list just for you. Every year we struggle to find the best homeschool curriculum for our kids that provides both breadth and depth and includes resources to keep our kids engaged. Not only do kids get bored easily, but we want them to have a well-rounded education. It’s hard to find new and unique products these days, and it’s especially hard to find the best homeschool curriculum for your child’s learning style. So, we put together The Best Homeschool Curriculum & Resources List of 2017-18 just for that very reason. These products are some that we use in our homeschooling, and/or have come highly recommended from other homeschooling families. We hope that you will spend some time getting to know the companies on the Best Homeschool Curriculum & Resources list. They are all small businesses and your support of them is not only greatly appreciated, it gives you the chance to try something new and innovative with your kids. The products in the Best Homeschool Curriculum & Resources List are sure to get your kids excited about learning this year. Have any suggestions for the Best Homeschool Curriculum & Resources List? Please email Info@HowToHomeschool.net. We are always looking for suggestions. NOTE: The products & services in The Best Homeschool Curriculum & Resources List of 2017-18 are listed in alphabetical order. Enjoy! Online – LIVE Animation and Drawing Classes Taught by a Former Disney Animator. Do you see in your children a love for animation or drawing and want more than a book can teach them? Come learn from the best at THE ANIMATION COURSE! Chad Stewart, former Disney animator and veteran homeschool Dad, offers 12 week LIVE – Online Animation and Drawing Courses for 11-18 year olds. Recorded (with grading) classes also available for schedule flexibility. Weekly classes are one hour long and include personal video reviews by professional animators for individual learning! Fall, Spring and Summer sessions available. Classes tend to fill up very quickly, so if you can, register soon! You can hold your child’s spot with a non-refundable $50 registration fee. Please send inquiries to kayla@theanimcourse.com or check out the website for more information and class prices. HomeschoolPiano teaches all levels, even absolute beginners how to play the piano. The easy-to-follow video lessons, along with the on-screen virtual keyboard and step-by-step written music make it easy for everyone to learn. Built on solid methodology that integrates throughout all 18 units, the rhythms and technique that you learn at the beginning of each unit carry over into the reading, song and improvisation learned later on. Can’t read music? No problem, you’ll learn that too. With HomeSchoolPiano you’ll become a total musician, being equally at ease reading music or composing your own songs. Individual reporting and access for up to 6 people means the entire family can learn how to play the piano, all from the comfort of your home. Or, access the lessons from any smart phone or tablet while on the go. HomeSchoolPiano is the easiest way to learn piano online. Monart is a realistic drawing curriculum that is available on the Monart On-Line Store. It has enough structure to achieve highly skilled success and enough freedom for individual creativity for 4 year olds through adults. Designed by Mona Brookes, the author of Drawing With Children, the method is now available in a training video and hundreds of drawing projects. Monart is no longer a franchise and the curriculum is now available for parents and art teachers to legally form their own private classes or to use the materials in any type of classroom. You do not need to be an artist in order to use the Monart method and lesson plans. The books by Mona Brookes and the materials on the On-Line Store are simple enough for an individual to learn along with their students or their own children at home. 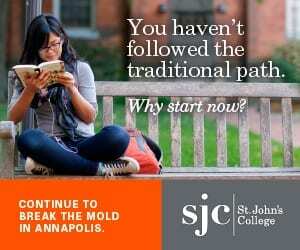 American School offers accredited courses in grades 6-12 at a cost families can afford. Courses are available in online and paper-based formats and include core subject areas like English, math, science and social studies as well as elective courses in business, career and technical education, fine arts and world languages. Select AP courses for advanced high school students are also available. Students may enroll in full-year programs which lead to them earning American School’s accredited high school diploma, or they may enroll in individual subjects to enrich an existing homeschool program. Regardless of how many courses they take, students can work at their own pace and contact American School for assistance at any time. Instructors are available to answer questions via phone during normal business hours and reply to emails within one business day. Courses are available to students in all 50 states and more than 65 countries around the world, and monthly payment plans are available for students in full-year programs. American School is accredited by MSA-CESS, Ai and NCPSA and has been a leader in distance education since 1897. For more information, visit www.americanschool.org or call 708-418-2800 or 866-260-7221. Earthschooling is an award-winning, secular Waldorf curriculum that is a complete but flexible educational curriculum based on learning from nature, real-life experience, natural rhythms, hands-on activities, storytelling, painting and handwork with natural fibers. Earthschooling uses the Waldorf curriculum as a framework and thus it includes lesson plans, instructional videos, and core curriculum created by certified Waldorf teachers and fulfills all the requirements of a Waldorf education. However, Earthschooling goes beyond what other Waldorf curriculum providers offer by including curriculum correspondence with core standards for your location as well as a full range of teacher support tutorials including Eurythmy lessons. In addition, a certified teacher is available online weekly to reply to member questions in our live forum. Forest Trail Academy is well known for its accolades and academic excellence. It is registered as a private school with the Florida Department of Education and offers a self-paced, student-centered method. Because of this personalized learning emphasis,Forest Trail Academy has also been an alternative education choice for competitive athletes, students in need of extra attention, and students with unique circumstances. Each student receives the assistance of a Student Adviser who evaluates the student’s educational, career, and personal goals in order to create a unique need-based learning path. A key belief of Forest Trail Academy is that all students can become life-long learners. Global Student Network (GSN) provides online curriculum for homeschool students grades K-12. At www.globalstudentnetwork.com, families can choose from seven online learning program. Enroll anytime! Homeschool Academic Advisor provided. Monthly subscription available through their sister site – www.uniteddigitallearning.com. Looking for teachers? GSN also hosts an accredited online private NCAA-approved school with certified teachers at www.internationalvla.com. Get access to printables covering everything from Alphabet, Art, Math, Handwriting, Science & more. Just sign up for a free account or upgrade to a premium account to get access to loads of incredible, curated printable activities for your kids. In addition to printables, you can find loads of activities, recipes, parenting tips & advice on the site. Mother Goose Time, an imprint of Experience Early Learning Company, produces research-based, hands-on curriculum for young children. Mother Goose Time believes that children learn best when they are actively engaged and invited to explore their own curiosities and their thematic resources are uniquely designed to provide shared experiences that build deeper relationships between parent and child. In addition, Mother Goose Time designs their educational materials to support and track a child’s on-going social, physical and cognitive development while also creating educational resources that are affordable, flexible, culturally relevant and connected with a child’s personal interests, learning style, developmental level and unique needs. To learn more about their early learning curriculum, click here. Novel Ideas, Inc. provides research-based Direct Instruction materials in reading, basic language skills, written expression, and math facts and operations. Teaching your students to mastery has never been so easy. With by far some of the most user-friendly materials offered on the homeschool market, their products provide significant and immediate results in student learning and confidence. Novel Ideas believes that all students can learn when taught appropriately, and that properly taught students have the foundations for future academic success. Well-educated students are the “Foundations for the Future” of society as a whole. Their products allow homeschool parents to invest their time, energy, and creativity interacting with their students, rather than spending countless hours researching and preparing instructional and testing materials that will meet the requirements of their students and/or their state. Not only that, Novel Ideas, Inc.provides continual ongoing customer consultation service to support you in the educator role. Playful Learning Teachers’ Lounge is a subscription-based, online resource for early childhood educators and homeschooling families. They provide Early childhood units of study that weave together play, literacy, numeracy, science, and art. You can also find assessment tools, curriculum planners, and lots of great discussions, all at your fingertips! Their lessons are conveniently bundled into themed units that make it easy to explore the topic of your choice! Also, search by age, subject, or keyword. New lessons are always being created and made available bi-monthly to our subscribers. They provide everything you need to make your homeschooling experience sing. 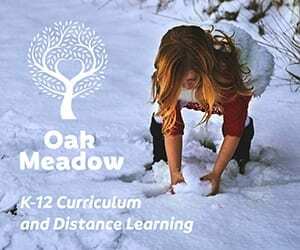 Perfect for any independent learning environment, from Homeschool to Adult High School completion and Home and Hospital instruction, it is designed to allow each student to progress at his or her own pace, which may vary from subject to subject. Students find the instruction embedded in the material, so that the teachers’ voice is heard throughout the text. Both objective and subjective assessment methods are used to ensure mastery of the material. Challenging activities are included in each unit to help students to acquire critical thinking skill sets. Study.com is an online education platform that helps students of all ages excel academically. From test prep and homework help to learning new concepts and earning low-cost college credit, Study.com’s online courses, short animated video lessons and study tools have made learning simple for over 30 million students and teachers. Study.com is available online or via iOS and Android mobile apps. There is free homeschool curriculum out there, but nothing like this! The Good & The Beautiful offers free language art course sets (Levels 1-5) that combine and thoroughly cover phonics, reading, writing, spelling, literature, grammar, punctuation, art, and geography—all in one easy-to-use, beautiful course. The Good & the Beautiful resources (Language Arts, History, Handwriting, Science, and more) emphasize faith, family, nature, and high moral character, while providing a non-denominational Christian worldview. The Good & the Beautiful homeschool curriculum is designed to 1. Bring the good and the beautiful into learning. 2. Make homeschooling less expensive 3. Make homeschooling less overwhelming, and 4. Bring joy back into learning. Founded in 2001 as Peace Hill Press, Well-Trained Mind Press specializes in K-12 books and curricula that are designed to meet the goals of classical education. In 2016, the Press changed its name to reflect its mission: to help parents and teachers provide the education described in the best-selling guide The Well-Trained Mind: A Guide to Classical Education at Home. Flagship series include the narrative world history series The Story of the World; the elementary and pre-rhetoric programs Writing With Ease and Writing With Skill; and the complete grammar curricula First Language Lessons and Grammar for the Well-Trained Mind; and math teaching and drill resources developed by mathematician and home-school parent Kate Snow. The Press also publishes storyteller Jim Weiss, previously of Greathall Productions, and his full list of audiobooks and illustrated versions of novels, poetry, folk tales, history, and biographies from around the world. Established in 1999, The Bill of Rights Institute is a 501(c)(3) non-profit educational organization that works to educate and empower individuals with a passion for the freedom and opportunity that exist in a free society. The Institute develops educational resources and programs for a network of more than 50,000 educators, or one in four of American teachers of civics, history, and social studies. The Constitution Quest Game © is a FUN & EASY way to LEARN the Constitution, according to reviews by scholars, students, teachers, & families for over 7 years! Students claim it helped them pass exams! It’s INCLUSIVE because it’s nonpartisan and beneficial for young, old, novice, expert, citizen and those desiring to be so. It’s VITAL because a population, that understands fundamentals of self-government, governs best! Take friends, family, and students on a fun-filled dash around three branches of American government in under 45 minutes. Race around the beautiful, red, white and blue board – earning points for questions covering all the Articles and Amendments with attention to all three branches of government, separation of powers, checks and balances, and key facts, dates, and vocabulary. The game is full of twists and turns using “Wild Cards” “Detours,” “We the People,” and more. Reinforce the value and relevance of the U.S. Constitution with Constitution Quest! Waypoint Geographic is a manufacturer of world globes, maps and other geographic related products. Their mission is to design, manufacture and distribute high quality products for both decorative, reference and educational purposes. Geography is important and the solid craftsmanship of their products ensures that their maps, globes and other items will be enjoyed for years to come. A distinction between their products and the geographic related products offered by other manufacturers is the level of detail. Their maps, globes and other products feature the latest information regarding geographically accurate landmarks and boundaries and ocean topography is a feature that is unique to all of their products, including full descriptions of the bodies of water. With over 15 million sold, The Cross and the Switchblade is a modern-day classic is now available in a new edition especially for young readers ages 9 to 12, complete with 30 illustrations that bring the story to life. This riveting story follows the young David Wilkerson—then a simple country preacher—as he risks everything, including his life, to go to the heart of New York City to bring the gospel to the violent gangs and drug users who were taking over the streets. The courage, resilience, and faith of this young preacher will inspire a new generation of readers as they see how God’s love can pierce the darkest of circumstances and save those who we think are beyond saving. Let this powerful story show the young people in your life how God can use anyone with faith to do the impossible. For more than 25 years, Barefoot Books has been creating beautiful, enduring books that celebrate diversity, spark curiosity and capture children’s imagination. With a strong commitment to cultivate compassion as the core of its mission, Barefoot Books is dedicated to nurturing inclusion and acceptance by opening windows to other cultures and perspectives, while also providing children of all backgrounds and abilities with a much-needed mirror of their own experiences. Founded by two young mothers in England in 1992 and based in Cambridge, MA, Barefoot Books has published 600+ books for children that encourage discovery, compassion, creativity and global awareness. Their first app, Barefoot World Atlas, has 4 million downloads and their YouTube Channel has 80 million+ views. Most importantly, over a quarter of a century, Barefoot has put more than 20 million books into the hands of children around the world. With a mission to “Share Stories, Connect Families, and Inspire Children,” Barefoot leverages its vibrant, timeless family brand with a social selling model that empowers women entrepreneurs. Easy Grammar Systems publishes several award-winning grammar series. Easy Grammar texts (Grades 3-6 and Plus) use the prepositional approach, which deletes prepositional phrases to help students find subject, verb, agreement, etc. Concepts are taught in a building-block-escalator paradigm that incorporates mastery learning strategies. Unit reviews/unit tests and cumulative reviews/cumulative tests also promote mastery learning. Easy Grammar: Grade 2 is set up with 180 daily lessons—teaching and application of capitalization, punctuation, grammar and other concepts, and sentence combining for creating excellent sentences. Daily GRAMS texts (Grade 3-7) are daily, 5-10-minute reviews (180 lessons). Following a systematic format, students complete capitalization (#1), punctuation (#2), grammar and other concepts (#3/#4), and sentence combining (#5) for improved quality of writing. Easy Grammar Ultimate Series texts (Grades 8-12) provide high-school students with 180 teaching lessons designed cyclically for mastery. Concepts are introduced, reviewed, and applied in 10-minute lessons, allowing focus on literature and writing. Most reading programs, including tutoring, work around the underlying weaknesses that cause your child’s reading difficulty. Fast ForWord is different. It’s a computerized reading program that targets the issues at their core, starting in the brain. Your child will complete a variety of auditory processing, attention, and memory exercises that look like reading or pre-reading games. After Fast ForWord, 96% of parents report their child is reading better, understanding more, is more focused, or has improved in several of these areas simultaneously. It is most commonly used with children ages 5+ with reading difficulties, auditory processing disorder, speech or language impairment, autism, AD(H)D, a learning disability, dyslexia, or who are at risk for falling behind. The Fast ForWord Home services combines the software with the help of a remote educational consultant, who makes sure your child is getting the most benefit from the program in the shortest amount of time. Home School Navigator offers a complete language arts curriculum developed for elementary aged children. All the components of language arts: reading, writing, word study, grammar, poetry appreciation, and literacy skills are present in their easy-to-use curriculum. Video lessons present the new topic to be learned, which is then practiced through the use of downloadable handouts, games, and activities. The recommended activities in the program foster and embrace all the various kinds of learning styles. Additionally, quality children’s literature is woven throughout the program and many exciting titles from several award-winning authors provide the foundation for the child’s learning. A record of the child’s work can then be uploaded into the virtual portfolio feature on the website. When it comes to language arts, Home School Navigator has you covered. Mindplay is a web-based reading program. It delivers one-to-one, personalized, systematic, reading instruction. MindPlay features virtual reading teachers who help your child fill in the skill gaps that are preventing him or her from reading accurately and fluently. The adaptive program modifies instruction to suit the needs of each child. If your child uses the program for 30 minutes a day for five days a week, you will see improvement in the first month. Some children even advance an entire grade level every few months. You will also see an overall increases in self-esteem, academic success, and educational engagement. Power Tools for Literacy contains 300 engaging, step-by-step lessons that are designed for struggling readers and students with dyslexia. Specifically, this program addresses the needs of students who have difficulties in reading short and long words. Become an expert in teaching phonics in the context of syllable patterns and showing your child how to analyze or chunk words into phonemes, syllables, base words, prefixes, and suffixes. Mastering and blending these phonograms enables students to read and spell short and long words with ease and accuracy. The book has 14 chapters with a total of 428 pages. Every chapter begins with a Note to Instructor, which explains the concepts that are taught in each lesson. The look and feel of the lessons is appropriate for any age group; material that appears tailored to young children has been avoided. Up-Words Reading® is an early reading curriculum designed to teach students to read and spell the English language. The program is the product of years of experience in both reading instruction and speech-language therapy. It carefully follows research-based best practices in literacy education, and incorporates time-tested instructional techniques. • Comprehensive: provides a complete, self-contained package with everything needed to teach any child to read! Each level includes Teachers Manuals, Student Workbooks, Decodable Readers and a Resource Kit. • Versatile: designed for all students across the learning spectrum. • Integrated: addresses phonological awareness skills, phonics, fluency, sight words and reading comprehension. Also, the daily lesson plans and decodable readers work in concert to reinforce each other. • Engaging: introduces young readers to entertaining characters and consistent narratives that last throughout the school year – and the entire curriculum. Students can look forward to returning to these lovable characters week after week and discovering what adventures they’re going to encounter next! • Consistent: absolute vocabulary integrity is maintained in the Decodable Reader series. Students will never encounter a word they haven’t already been taught to read. • Wholesome: emphasizes the values that parents want their children to learn. • Effective: based on evidence-based, research-drive teaching methods. AFTERMATHCLASS is a company that provides videos for precalculus and college algebra. An entire precalculus or college algebra course made available to the student entirely on video. Laid out by an easy to follow Chapter, Section and Learning Objective setup, each video covers a particular Learning Objective. Just navigate to what you are searching for and watch. It’s that simple. There are over 650 videos to choose from, each ranging from 2-6 minutes in length. Learn by watching and following along. The videos are taught by Arizona State University Principal Lecturer and four-time Teacher of the Year recipient Jay Abramson. These videos are a comprehensive tutorial, with complete support for all topics that could possibly be covered in these courses. There are two types of videos: lecture videos and example videos. The lecture videos are engaging, with students asking and answering questions as you would experience in any classroom. The example videos are direct, with the typical examples that you would encounter in the courses clearly presented. This video format is used at ASU and other campuses nationwide, with great success. With the BeGenio Race To Infinity Game children fall in love with math while building their math confidence. With this game, kids learn while playing with their parents, but since they’re having so much fun they don’t realize they’re learning. Plus, the game has “replayability” – kids and parents want to play it over and over again. With this game, parents can effectively and confidently support their children without having to teach math or be a math whizz themselves. The game has received the Amazon CHOICE BADGE and they have over 300 fantastic testimonials from parents, teachers, tutors, kids, large organizations and more. The company also offers online courses and runs workshops for parents to help them confidently and effectively support their children in math. CTCMath is an interactive online math curriculum used by over 210,000 students. CTCMath provides over 57,000 interactive questions and over 1,367 animated lessons. The goal at CTCMath is pretty simple – to have a positive impact on as many families as possible through the enjoyment and understanding of math. This unique program uses visualization of quantities, de-emphasizes counting, and provides strategies (visual pictures) for learning the facts. Understanding and problem solving are emphasized throughout the curriculum. RightStart™ Mathematics uses the AL Abacus to provide a visual, auditory, and kinesthetic approach to elementary math; fractions are approached with a linear perspective; and card games are used to learn concepts and strategies and to practice facts. The lessons guide the teacher day-by-day, helping children understand, apply, and enjoy mathematics. RightStart™ for Home School information can be found here. A 9 month (Aug-May) program for 18-24 year old high school graduates. This program enables young adults to gain a unique outlook on the Christian life by stepping out of the norm and living life with a sharper focus and vision for the Kingdom. Participants learn what it means to be a true disciple by following God, living without compromise, and escaping the trappings of this world. Camp Eagle is nestled in the Texas Hill Country at the headwaters of the Nueces River. This 1400 acre wilderness environment provides the means for students to abandon many of the distractions of a fast-paced tech-savvy culture and reflect on things of universal and foundational significance, such as faith and community. Students are led through experiences that prime them for processing through their faith and role within the body of Christ. Experiences that are on-going throughout the year include adventure (9 trips), study (Hermeneutics, Bible Doctrine, and Worldviews), and service (students serve 40% of their time, giving them first-hand experience in many facets of camp ministry). God’s Crime Scene for Kids – Investigate Creation with a real detective in this companion to Cold-Case Christianity for Kids. Jason uncovers a mystery in his grandmother’s attic. He and his friends, Hannah, Daniel and Jasmine, enlist the help of Detective Jeffries at the Jr. Detective’s Academy. Along the way, they develop the skills needed to investigate the mystery and the evidence of God’s existence. The cadets learn logical-thinking skills as they examine the contents of a mysterious box and the vast universe. In God’s Crime Scene for Kids, real-life detective J. Warner Wallace shows kids ages 8 to 12 what skills are needed to solve Jason’s mystery, and at the same time looks at evidence in the universe that demonstrates God is the creator. Ultimately, kids learn how to make their own case for God’s existence. Additional resources can be found at CaseMakersAcademy.com. Looking for a one-site stop for all subjects and grades? CHSH-Teach is it. This award-winning site has a multitude of homeschooling curriculum, unit studies, worksheets and more for PreK-12th. Need to get organized? CHSH-Teach can help you with that as well. CHSH-Teach offers an affordable subscription service that gives you access to all materials on the site. There are two subscription plans available, an annual subscription ($29.99) and a lifetime subscription ($149.99) – prices are guaranteed through 2019. The best part of the CHSH-Teach subscription plan is that one subscription covers your entire family and all materials. Site founder, Lynda Ackert (Creations by LAckert) works diligently to find, create and continually add easy-to-use resources for homeschoolers. With a degree in education, she is an experienced public-school teacher and a 13-year veteran homeschooling mom and wants to be a part of your teaching journey through CHSH-Teach.com. DNA Educational Games is an Israel-based company (Holy Land), specializing in the developing and publishing of faith-based educational [board and card] games, suitable for Christians of all ages and all denominations. The company developed and published several games in English, Spanish, French and Portuguese. Our Mission: To provide solutions for parents who are searching for ways of making the Bible come alive for their children. DNA keeps these 3 basic notions in mind: Connecting with Emotions – Experiencing FAITH, Developing Cognitive Skills – Knowledge, Understanding and Life Application, and Encouraging Family Values – Communication, Quality Time and Family Bonding. Posnack Virtual School offers a full college preparatory Jewish high school experience from one of the best Jewish day schools in the country. Their real-time learning system means students attend classes live, benefiting from direct social interaction with their teachers and peers. The Posnack Virtual School curriculum includes courses in both general studies and Judaic studies. Posnack School requires its students to take a rigorous course load of eight courses per semester. Posnack School offers 15 different AP courses for students in their sophomore, junior, and senior years. Many Posnack School students achieve sufficient proficiency in Hebrew to request language credits from their respective colleges. Posnack Virtual School students have access to a well-rounded list of course offerings in language arts, history, mathematics, science, and foreign language. In addition to the required courses, a number of electives are available to the students. PureFlix.com is streaming video service that offers that largest selection of family, faith and fun content for the homeschool community. With more than 8,000 titles ranging from documentaries and Biblical stories to popular series such as “Drive Thru History,” “Friends and Heroes” and “VeggieTales,” the service is designed to complement the curriculums of all homeschool families. What’s more, PureFlix.com content is available anytime, anywhere…whether it’s on your TV, laptop, smartphone or tablet. Free one-month trial subscriptions are available on www.pureflix/homeschool.net. Truett McConnell University is a private Christian liberal arts university located in Cleveland, GA. Founded in 1946, the mission of TMU is to equip students to fulfill the Great Commission through a Biblically-centered education founded on four pillars: to love the Lord, love the Word, love the Church, and love the lost. Whether a student is called to teach, preach, or is still seeking God’s direction, TMU offers thirty undergraduate and five graduate degree programs all designed to help students discover and fulfill God’s high calling on their lives. Classes are available both on campus and online. 3Doodler is the world’s first 3D printing pen and an optimal tool for STEM, tactile learning, art and design, prototyping and invention, as well as computational thinking. It works by extruding heated plastic that cools and hardens instantly, allowing you to draw your ideas in 3D. No software is required, students use the 3Doodler just like holding a pen, allowing them to get started easily and have the freedom to create. 3Doodler is recognized by educators as a versatile tool for creative-thinking, self-expression, and infinite learning outcomes, and it is widely used across subjects such as science, math, art, technology and engineering. Tons of free lesson plans and resources are available on the 3Doodler website to help you get started. 3Doodler EDU has been awarded the Kokoa Education Standard for Certified Educational Quality, and the 3Doodler Start is RNIB endorsed and recommended for visually impaired users. HUE products are designed to provide colorful, creative and affordable technology for teaching and learning. The HUE HD camera was launched in 2010 and has been popular with schools worldwide as an economic and portable document camera. Responding to demand from teachers, the HUE HD Pro was launched in 2015 to incorporate the most requested features: a heavier base and full-page image capture with a wide angle lens. It also comes bundled with user-friendly Intuition software to give easy access to all of the camera’s functions, including recording sound and video, editing images, automated image capture, and Skype™. HUE Animation Studio is a complete stop motion animation kit which includes the HUE HD camera, a single license for HUE Animation and the HUE Book of Animation (which now available in English, French, Spanish, and German). The HUE Tablet Stand is also an essential tool for any home or classroom. Science Course Videos produced for Middle School and High School students, written to cover the International General Certificate of Secondary Education (GCSE) as administered by UK examination boards, and also for the UK Key Stage 3 course (11 – 14 year olds). The videos offer comprehensive coverage of the specification and are also directly linked to a range of resources, including textbooks, Powerpoints, worksheets, check lists and Talking Papers (these are short videos that explain to students how to answer specific examination questions). Makey Makey is an invention kit for the 21st century, as Makey Makey easy-to-use invention kits ignite curiosity, challenge problem-solving ability, and foster creativity. With Makey Makey everyday objects are transformed into touchpads empowering students to interact with computers as creative tools. The computer becomes an extension of their creativity, fostering imaginative play and discovery. Screen time, so often the bane of parents and teachers, becomes play, discovery, and invention time. “Makey Makey” is a play on words – students having the ability to Make their own Keyboards (“Ma-Key”). The mundane and boring keyboard is replaced by any object that conducts electricity – pie pans, Play-Doh, bananas, and even potted plants – the list goes on! Marble Genius is dedicated to bringing fun and educational marble products to the market to be enjoyed by kids of all ages. They offer multiple marble run toys including their Marble Genius Super Set which is consistently the best-selling Marble Run on Amazon. Additionally, they have numerous accessory sets and will be introducing many new patent pending products this year. With Marble Genius, kids have fun and learn at the same time. The Congressional Medal of Honor Foundation’s Character Development Program is a free, flexible resource based on the values of courage, commitment, sacrifice, integrity, citizenship and patriotism. The lessons focus on how kids can live these values and influence change in their own communities. With both an elementary and a secondary component, this program has activities that homeschool parents can use with children of various ages. Students will have the opportunity to explore primary sources and oral histories, engage in critical thinking, and reflect through writing. If you are looking to engage your children in history, inspire them with examples of real heroes, and challenge them to make a difference, the Character Development Program will provide you with the tools you need. Everything you need, including lessons, handouts and videos, is available online or on a free thumb drive which can be requested at http://themedalofhonor.com/character-development/request-cdp-kit. Cooper & Kid is a parenting brand for men with kids. They create award-winning tools for men to be the great dads they want to be. Every 3 months, they send Dad (and his family) a box artfully filled with educational projects to do together. Besides being fun, the projects are designed as a tool to teach character building, with a theme-aligned virtue, value, or emotional or life skill. For example, their Fall 2017 Machines in Motion kit includes 4 simple machine projects that combine to create an ingenious Rube Goldberg machine and explores how to use simplicity and complexity in life, design and relationships. Cooper & Kid launches a new kit each season. Each kit includes 5 themed projects focusing on science, play, creative expression, and construction. Plus, kits include a storybook, a fun dinner menu and a fabulous commemorative medallion! For ages 5-11. American Sign Language – you can do! Founded in 1997 by educators, Breaking the Barrier features instruction in Spanish and French providing a solid understanding of language fundamentals as well as cultural insights from around the world. Their programs genuinely offer students the fastest path to true language fluency. Breaking the Barrier blends the rigor of serious content with simplicity, clarity, and a student-friendly voice. The tone is informal and conversational – a one-on-one session between teacher and student, perfectly suited to a homeschool setting. By the end of the series, students will have practiced every important topic in the Spanish or French language and have the confidence to read, write, and speak fluently. Reminders about English grammar are helpful too! The Homeschool Package offers you a complete curriculum, and has three levels – Beginning, Intermediate, and Advanced and includes a workbook-textbook for all lessons with exercises, audio with hours of recordings from native speakers, answer keys, and tests. WHY STUDY SPANISH? Speedy Spanish’s reasons follow. Reason 1 – The first and most important reason to learn another language is to be able to share God’s message of love. Reason 2 – Learning another language is good personal discipline. Reason 3 – Learning the grammar of another language will help you better grasp the grammar of the English language. Reason 4 – Language study will enhance your memory and help keep your brain alert. Reason 5 – It could double your vocational opportunities. What language should you learn? What ethnic groups surround you? What language would be of the most value? The answers to those questions will vary according to where you live. But several facts are apparent – the third most spoken language in the world is Spanish. It is a beautiful language. It is a phonetic language. And it is reasonably easy to learn. This is the company’s 30th year of supplying homeschoolers with educational material. And FYI – they also have Christian Ethics products. Excel High School is a Department of Education recognized and regionally accredited school system that offers high quality online high school courses specifically designed for homeschool students. Excel High School offers both secular and faith based courses designed to serve all homeschool families in need of an exceptional online learning experience. True to Excel High School’s mission, Excel places significant emphasis on student outcomes and helps students to fully prepare for success in college and beyond. Excel High School offers courses that are both rigorous and fun. Excel High School places great emphasis on service and support, so students and parents are always supported. Excel uses the Canvas LMS, which supports online courses across all devices. Students from anywhere in the world have access to Excel’s curriculum and instructors. For 50 years, the College Level Examination Program has helped students save time and money earning their college degrees. 2,900 colleges and universities accept credits earned through successful CLEP exams. Today, home school students are the fastest growing CLEP group, leveraging their high school knowledge into college credit. SpeedyPrep provides online, 24/7 access to 24 courses to prepare its subscribers to pass their CLEPs. The program consists of “fill-in- the-blank” questions, supplemented with videos and written explanations. A progress bar tracks a student’s growing mastery. SpeedyPrep offers a MONEY BACK GUARANTEE — if a subscriber earns 90%+ on their progress bar, but fails their CLEP, SpeedyPrep will refund their subscription fees. SpeedyPrep created, and maintains, its curricula based on guidelines published by the College Board, which develops the exams. Master high school AP teachers and college professors review SpeedyPrep’s courses, keeping them up-to- date. Fit2B is the world’s premier provider of family friendly fitness, offering over 200 streaming workouts and many e-courses to further you and your kids’ education about the human body. Their kids routines and Fit2B Girls e-course are utilized by homeschooling families in many countries for their PE requirements. The SkyBrush Eraser has ‘squeeky cleaned’ whiteboards and chalkboards for 40+ years. Unlike erasers that smear chalk dust into an unsightly haze, the Sky eraser loosens it, lifts it and carries it away, leaving behind a clean surface undimmed by dull residue. On Whiteboards, Sky Eraser eliminates the marker haze; boards are clean. No additional cleaning needed with chemicals or water. Truly a tool that every homeschool family needs. No more harsh chemicals to clean the whiteboard or chalkboard. Once you try Skyboard Eraser’s suite of products, you’ll never go back. Did you enjoy this list? You can also check out all of the other wonderful information that How To Homeschool produces. We have Homeschool Reviews, Homeschool Guides, the Ultimate Homeschool Curriculum List and our Homeschool Curriculum Directory!